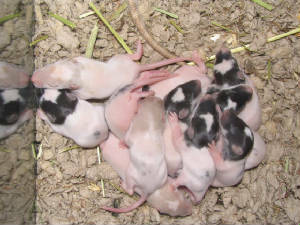 This was Amelia's litter that was born on July 2, 2005. All babies are adopted out and we kept one male hooded,Tornado, my kids had picked him out. 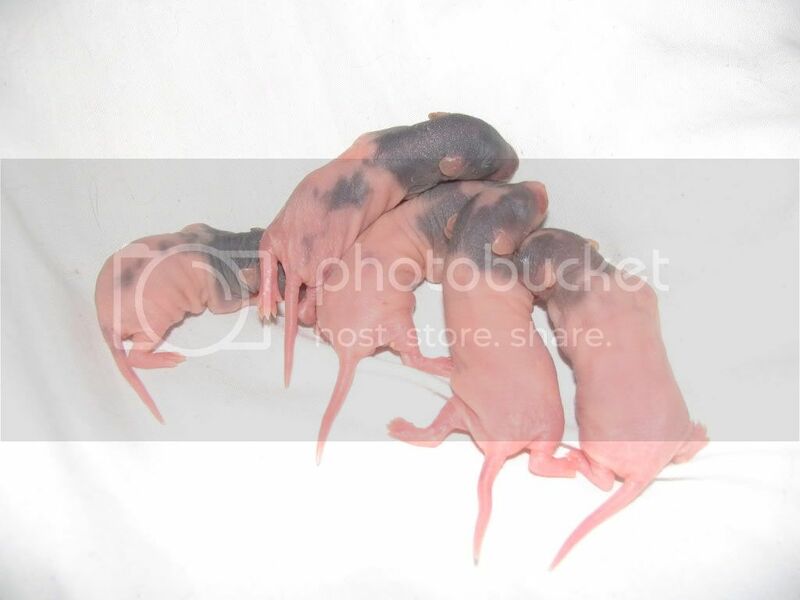 I do not know the father as this litter was the result of a pregnant pet store rattie. 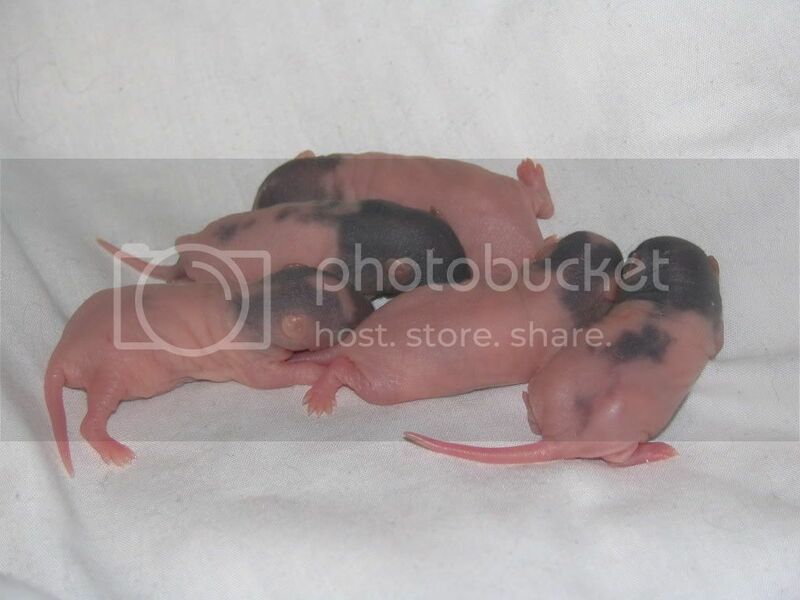 This was RAL Sabrina and RAL MacKenzie. 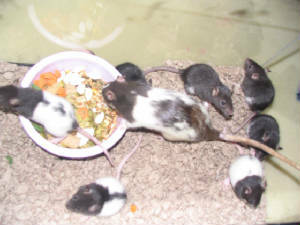 They had 13 beautiful uniquely capped babies on July 28, 2005. Three of which were Himalayan, which was quite a surprise. I kept 3 girls. Two almost identical, Nadia and Mia. I also kept a Himalayan girl, Hope. 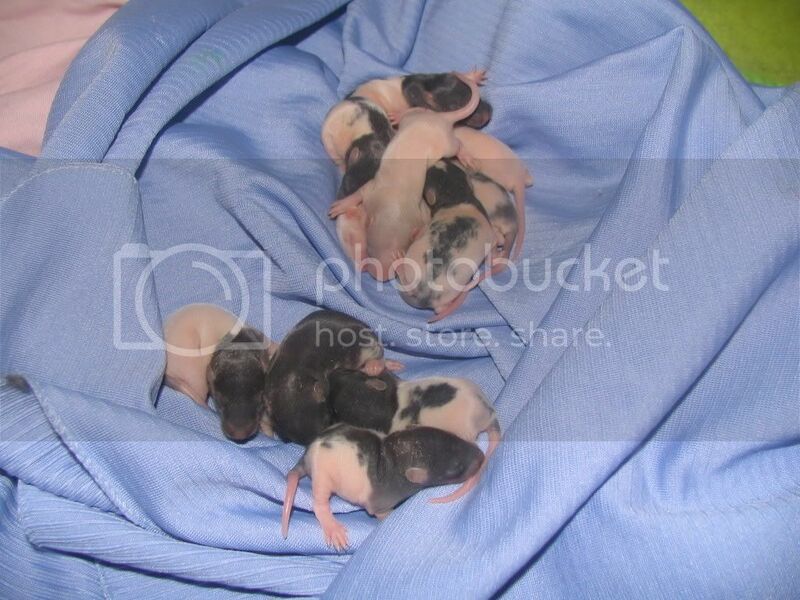 These cuties were born October 9, 2005 to my friend's Thelma. The babies loved to lick and were very sweet. I had one dumbo born from her litter. All of these babies were adopted Thanksgiving weekend. 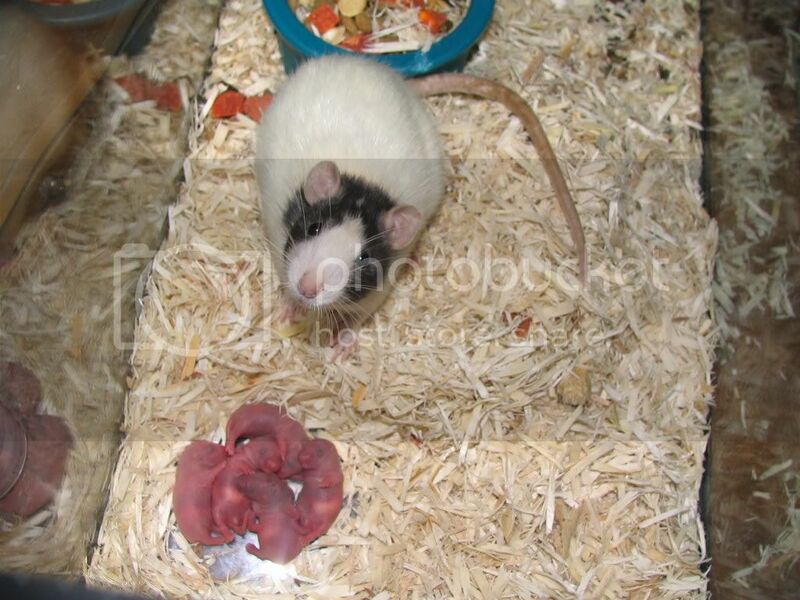 I had one boy reserved but his adopter changed her mind as she herself has rescued a rattie, Trixie. So I kept her to be boy that she had named, Herbie. He was the first dumbo to be born with us and then Thelma's sister, Nadia had my second, Emery. This was one of three rattie girls all sisters that decided to venture out of their cages by squeezing through the bars. 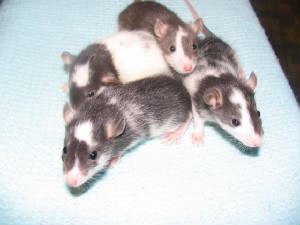 Well, along their journeys they met up with my boy ratties and yup you guessed it...pinkies were on the way! Zoey is one of my favorite ratties. She is the best! She licks, snuggles, listens very well and is incredibly smart. She loves to have her belly rubbed and loves playing games with me. The "I'm going to get your belly" game. I tell her that and she gets so excited and runs away. I get her and she runs at me and I chase her with my hand. 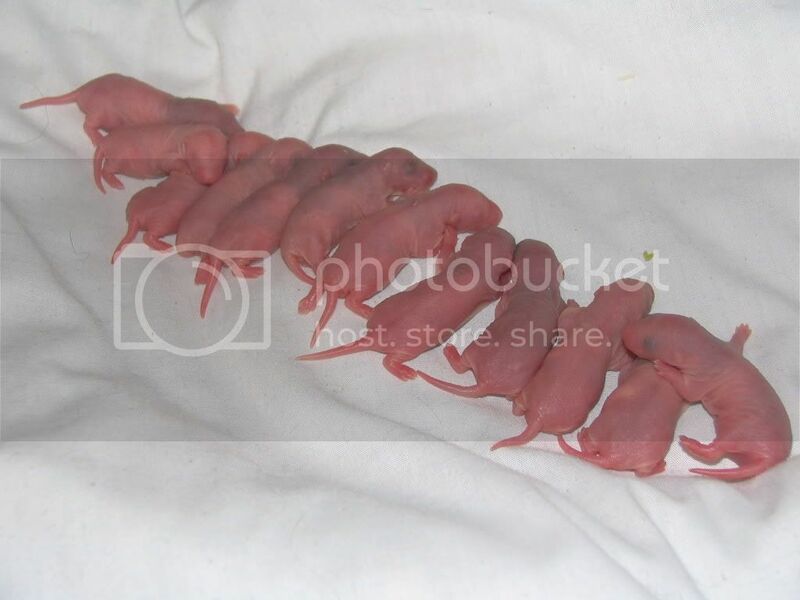 She had these little sweeties November 18, 2005. I kept a boy from her litter. A rex white black-hooded boy I named, Zachary. Who acts just like mom. I'm not sure who DAD is as she was in the boys cage with 3 males, a blue russian, Noah, Tornado, black hooded and Oliver, a rex Himalayan. Hmmm...maybe Zach is the product of Tornado??? But rest assured the cage was reinforced as I don't want unwanted babies as much as the next person. I have learnt through my own faults and things are great here now without mishaps. These are the 12 sweeties that Katie had on November 21, 2005. I kept one of her daughters an albino I named, Samantha and I kept a little boy who is a nutcase crazy loving little playful thing, Joey.